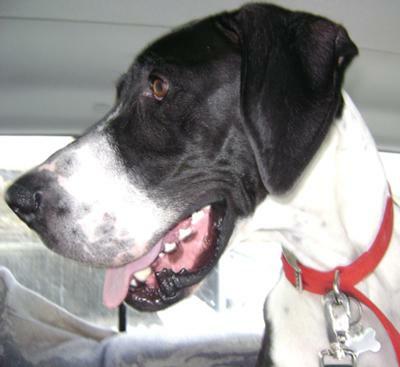 We adopted a Great Dane from a rescue in October 2009. He was found dodging cars on the interstate. We fell in love instantly with what we decided to name Jake. In May 2010 he got into a pack of oreo cookies and bloated. His stomach turned. If we had gotten him to the vet 15 minutes later then we would have lost him. We were very lucky and very blessed that he pulled through. So please if you really love your gentle giant, monitor what he eats and try to get a food stand for him to prevent the bloating from occurring.